I hope these are helpful for Dead Universe collectors. when you guys click (or buy)... starting from this post. Hopefully that's a win-win for both of us. Last edited by greg on Fri Dec 31, 2010 7:54:23 pm, edited 11 times in total. 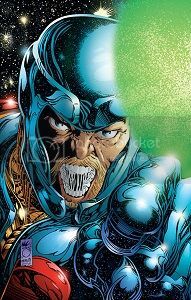 In the spirit of constructive criticism, collaboration and fine tuning, the biggest problem that leaps out at me is that there were several Marvel series called "Exiles" that had nothing to do with the Ultraverse. That severely bogs down and inflates the number of search results. Any constructive ideas about how to eliminate those from the search results? I've eliminated all Exiles that don't include Ultraverse or Malibu in the description. That's probably eliminated some valid ones, but it seems to clean more than it cuts. I had to do the same thing with Wrath because every publisher has a Wrath of something. Added what I hope is an Ultraverse variant/limited/ashcan/signed book search. I don't think we'd lose much without the Exiles search parameter. The first volume was published in 1993 so you can imagine the print run. There were four issues and three variants of the first issue and even some of the variants of that first issue had pretty high print runs. The second volume ran 11 issues and the first 5 to 7 are ridiculously common too. Even through issue 11 they are awfully common on eBay - I've seen estimates that put the print run for issue 11 in the low 5 figures. How do the results look now that I've made the changes I mentioned above? All looking good so far sir. Very helpful stuff here, Greg. Thank you, sir. That CGW search string is dangerous. It makes me want to spend money. Lol - I got a couple on that string right now with more to be added later! I can relieve you of that burden. Indeed it has done similar to me already. I have located several annoying books across a few DU's. I didn't include Armor, Bucky O'Hare, Echo of Futurepast or Hybrids. These terms significantly increased the search results. I figure the lack of scarcity of the sharp majority of these issues, ease of finding them cheaply on eBay and lack of rare variants versus the inflation of the number of results was not worth it. Not bad dude, once you minus off some books like Ghost rider too and a few others that seem to pop up a bit this will no doubt be a winner. Dropping those extras is simple enough... I've adjusted Chiclo's first draft and added it to the first post. And here's another one for Doorman. Last edited by Chiclo on Fri Jan 20, 2012 7:49:46 pm, edited 1 time in total. I realized that I had made a Continum search but had not posted it here. Heres one for Future Comics. Last edited by comicsyte95 on Wed Jan 12, 2011 9:38:18 am, edited 1 time in total. Two suggestions I would make - first, your link goes to page 2 of the auctions and second, I would throw in a -batman operator because of the Batman: Deathmask mini-series from a few years ago.